India and Australia face off in the second match of the ongoing five-ODI series, with the former getting off to a winning start with a 26-run win in the Chennai game. The ongoing India-Australia ODI series got off to an eventful start, with the hosts pulling off what turned out to be a comfortable win in a rain-curtailed game. Australia, though, have shown far more fight that any side visiting India in the last couple of years, and the Steve Smith-led team is expected to produce a comeback in the next clash that takes place at the colosseum that goes by the name of Eden Gardens in Kolkata. Smith has been under a lot of pressure in recent times, thanks to his side’s early exit from the Champions Trophy earlier this year as well as the drawn Test series against Bangladesh last month, and losing the ongoing series will only bring out more daggers against him as far as his captaincy is concerned. While the pace duo of Nathan Coulter-Nile and Pat Cummins gave the side a brilliant start with three early wickets, which makes their retention for the upcoming game very likely, it was in the middle stages of the Indian innings where the visitors seemed to have lost some of their momentum. 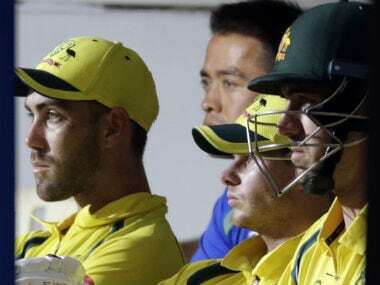 “We have spoken on how to important it is to start well against a new batsman and probably we did not do that too well in the middle period the other day,” said leg-spinner Adam Zampa on Tuesday. 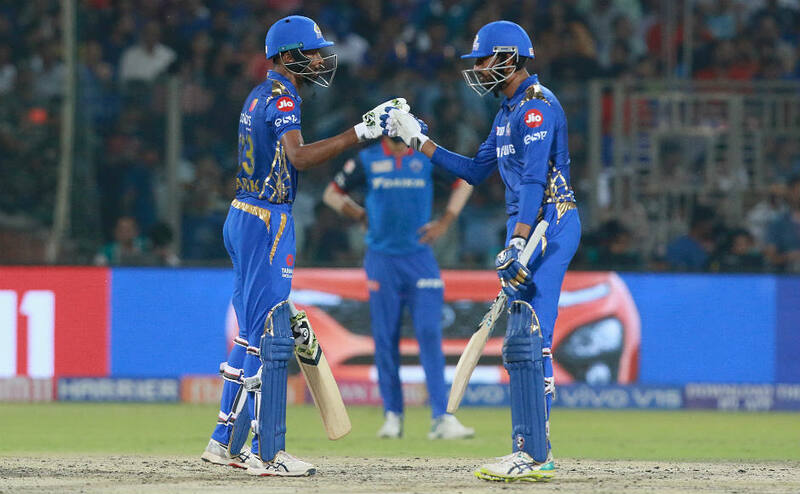 Hardik Pandya and MS Dhoni forged a solid-118-run stand to rescue the Indians from a precarious position of 87/5, with the hosts eventually finishing on a respectable 281/7. Zampa added that they should have kept Pandya off strike in that partnership in order to slow things down. Maybe they might keep that in mind for the next game, should they find themselves in a similar situation. 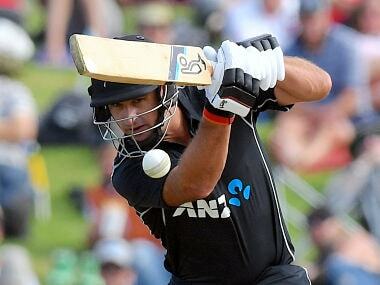 Opener Hilton Cartwright failed to get going in his ODI debut, the opportunity of which was handed to him only after the calf injury to regular opener Aaron Finch. While the tourists will be praying for the latter’s recovery to full fitness, they might bank on someone more experienced in these conditions in the meantime. 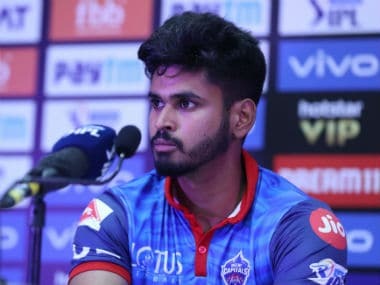 Travis Head, who has opened in the Big Bash League (BBL) and also has experience of playing for the Delhi Daredevils and Royal Challengers Bangalore in the Indian Premier League (IPL), might just be one such option. The Indians have a couple of wrinkles of their own to smooth out. 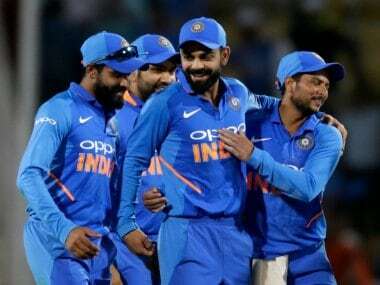 While the middle-order trio of Pandya, Dhoni and Bhuvneshwar Kumar rallied brilliantly, with the bowling department firing collectively later to give India a decisive victory, the top-order once again looked vulnerable in the face of a quality bowling attack. In a collapse that was reminiscent of that of the Champions Trophy final, India lost three of their top four batsmen to pace and swing. What did the trick for Coulter-Nile, who finished with figures of 3/44, was the extra bounce that got the batsmen’s outside edges. 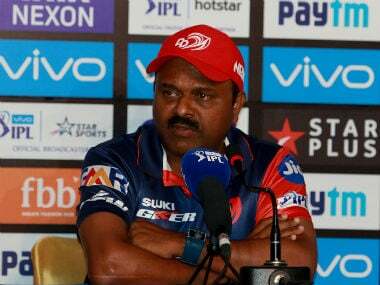 However, with the Eden track expected to be a little slower this time, the batsmen will perhaps find it easier to go for their strokes. The other is that of their fielding. Let the scoreline from the previous game not fool you into assuming that the Indians kept it tight in the field. An accomplished fielder of Ajinkya Rahane’s stature let go of a couple of chances. There were the occasional slip-ups and extra runs gifted. Even though the Australians might be having their issues with the conditions and tackling the spinners (with Kuldeep Yadav stating that he can get David Warner's wicket 'anytime'), one does not simply gift extra runs to the current world champions. None of this will matter though, if the Kolkata weather plays spoilsport. With the ground under covers for the last two days, which forced the Indian team to cancel their practice session and the visitors to do the same indoors, the chances of a washout are quite high at the moment. Should there be some play, even if it turns out to be a 20-overs-a-side contest, we can expect every bit of a showdown. 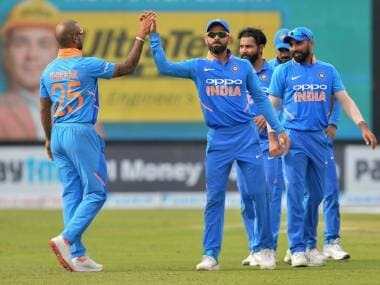 India: Virat Kohli (c), Ajinkya Rahane, Rohit Sharma, Manish Pandey, Kedar Jadhav, MS Dhoni (wk), Hardik Pandya, Bhuvneshwar Kumar, Kuldeep Yadav, Yuzvendra Chahal, Jasprit Bumrah, KL Rahul, Ravindra Jadeja, Umesh Yadav and Mohammed Shami.